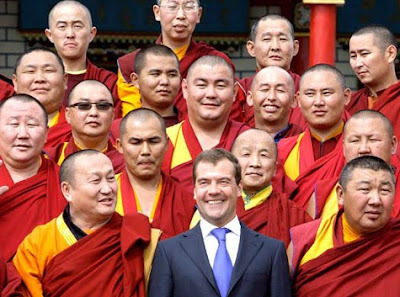 Russian President Dmitry Medvedev at the Russia Buddhist Monastery in the village of Verkhnaya Ivolga in Siberia. gender is more sameness than we might know thus far. The Bible is a good work, when man had time on his side to make words instead of fire. Of course by now you'd think we could get over the death of another Kennedy. Gosh,even with all science no reason to doubt. Except for we recreate and frolic in knowing we could do more ifor when we finally desire, or are forced to.